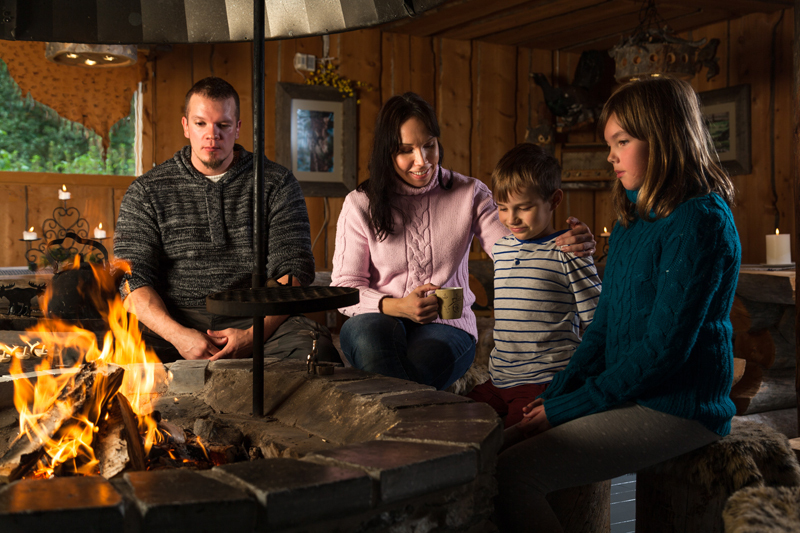 Hossa Reindeer Park offers café-restaurant services in the Laplander’s hut – type of cosy restaurant. Real bonfire in the middle of the restaurant and some candlelight brings a magical atmosphere. Upon your order, you’ll enjoy delicious home-cooked meals. We have full rights to serve alcoholic beverages. Sleigh rides, feeding and walking the reindeer are a part of our services. 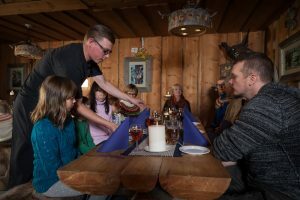 We sell reindeer meat in different forms, as well as reindeer skins, artwork and hand-made souvenirs, made by the locals. The restaurant seats 70 people. We organise and cater for different kinds of events and parties, call us and ask for a quotation! Summer time 1.6.-30.9. Offering a tasty reindeer lunch every day from 11am to 6pm. 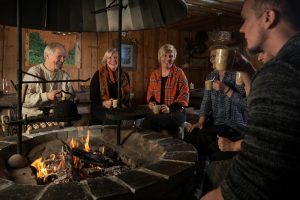 The reindeer is open during the summer from 9am to 6pm every day, at other times by appointment. 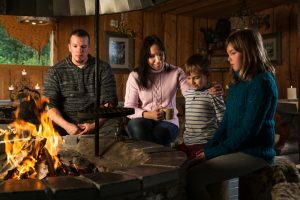 Welcome to reindeer life, participate in programs and dine!